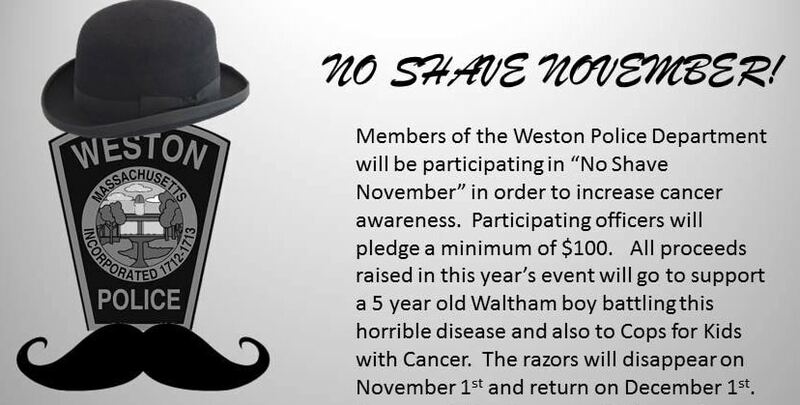 WALTHAM, MA – Razors? We don’t need no stinkin’ razors. 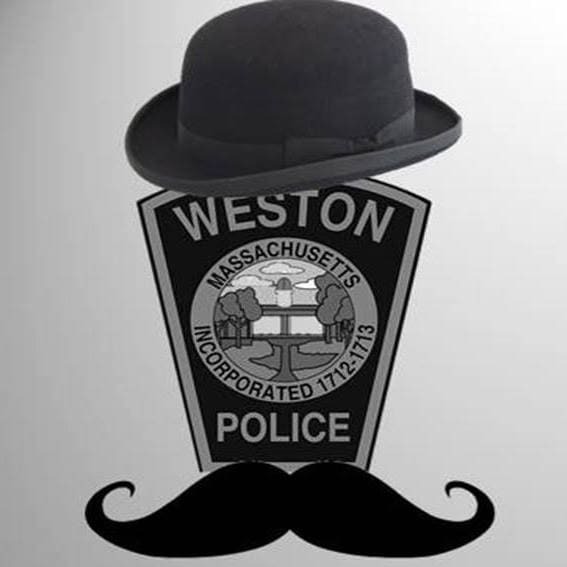 The Weston Police Department is taking a break from the clean cut look this month and letting the beards breathe to raise cancer awareness. Each participating officer has pledged a minimum of $100 to be donated to the Little John O’Connor Fund and Cops for Kids With Cancer. According to a separate GoFundMe campaign, “Little John” O’Connor is a 5-year-old Waltham boy battling b-cell lymphoblastic lymphoma, a relatively rare form of non-Hodgkin lymphoma. Little John hopes to be back in school by the end of the year once he feels better, and the Weston Police Department is helping make that possible.